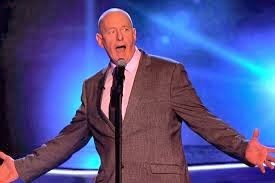 Must admit I was very surprised when Bob Blakeley gave a wonderful rendition of Cry Me A River on last Saturday's episode of The Voice and was not taken by one of the judges . One of the reasons given for their rejection was "he was so good that they thought a professional singer". But the good news is that has been offered a second chance during an interview on BBC Breakfast when he was reduced to tears after Mike Batt offered his services as a mentor to try to land him a record deal, potentially with his own label, Dramatico. Batt said: "Usually when the chairs don't turn around you think, fair enough, but he was just so phenomenal.I just felt such a sense of injustice that I thought I ought to do something. I would like to be the fifth person that did turn round... I would love to mentor you, to, if you like, manage you for six months or so until you get a deal with a good company, or with my own company. You must not let this chance go by and I would like to help you."